Draft: 2015, Pittsburgh Pirates, 24th rd. April 19, 2019 Bradenton Marauders activated C John Bormann from the 7-day injured list. April 11, 2019 Bradenton Marauders placed C John Bormann on the 7-day injured list. March 3, 2019 C John Bormann assigned to Pittsburgh Pirates. July 12, 2018 C John Bormann assigned to Bradenton Marauders from Altoona Curve. July 6, 2018 Altoona Curve placed C John Bormann on the 7-day disabled list retroactive to July 4, 2018. Left calf strain. June 24, 2018 C John Bormann assigned to Altoona Curve from West Virginia Power. March 9, 2018 C John Bormann assigned to Pittsburgh Pirates. August 21, 2017 C John Bormann assigned to Bradenton Marauders from Indianapolis Indians. August 21, 2017 Bradenton Marauders activated C John Bormann. August 19, 2017 C John Bormann assigned to Indianapolis Indians from Bradenton Marauders. June 27, 2017 C John Bormann assigned to Bradenton Marauders from Indianapolis Indians. June 22, 2017 C John Bormann assigned to Indianapolis Indians from Bradenton Marauders. May 3, 2017 Pittsburgh Pirates sent C John Bormann outright to Bradenton Marauders. May 1, 2017 Pittsburgh Pirates optioned C John Bormann to Bradenton Marauders. April 30, 2017 Pittsburgh Pirates selected the contract of John Bormann from Bradenton Marauders. February 25, 2017 C John Bormann assigned to Pittsburgh Pirates. September 12, 2016 C John Bormann assigned to Bradenton Marauders from West Virginia Power. April 5, 2016 C John Bormann assigned to West Virginia Power from Bristol Pirates. March 21, 2016 C John Bormann assigned to Pittsburgh Pirates. 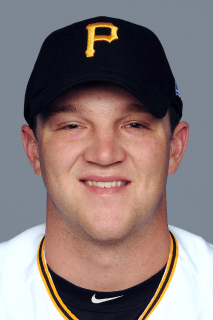 June 18, 2015 Pittsburgh Pirates signed C John Bormann. June 18, 2015 C John Bormann assigned to Bristol Pirates.